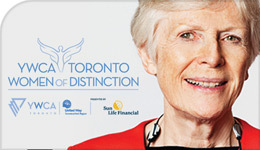 Professor Pat Armstrong is one of eight women recognized by the YWCA Toronto for her outstanding contributions to and leadership in improving the lives of women. Armstrong, a distinguished research professor of sociology in the Faculty of Liberal Arts & Professional Studies (LAPS), is a 2018 YWCA Toronto Women of Distinction recipient in the category of Health & Education. She is recognized with the award for her work on pay equity, women’s work, women’s studies and women and health care reform. “In recognizing individual women, we are actually recognizing all women, because each of us builds on the work of others to bring us closer to equity for all,” said Armstrong. 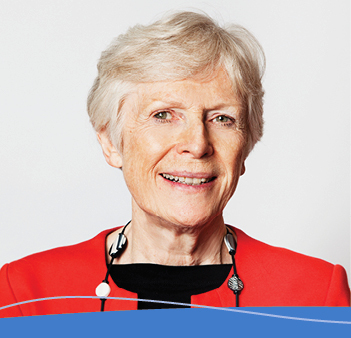 Armstrong is known as a feminist, sociologist, researcher, advocate and teacher and has built a career in these areas over the last 50 years. She is a fellow of the Royal Society of Canada and has held a Canadian Health Services Research Foundation/Canadian Institutes of Health Research Chair in Health Services and Nursing Research. She served as the Chair of the Women and Health Care Reform group funded by Health Canada, was co-director at York of the Ontario Training Centre, and has served as both Chair of the Department of Sociology at York University and director of the School of Canadian Studies at Carleton University. Armstrong is also a board member of the York Institute for Health Research, the Global Labour Research Centre, the Canadian Health Coalition and the Canadian Centre for Policy Alternatives. She has served as acting director of the National Network for Environments and Women’s Health. In addition, she has served as an expert witness in more than a dozen cases, heard before bodies ranging from the Federal Court to Human Rights Tribunals on issues related to women’s health care work and to pay equity. In 2007, Armstrong received the Ontario Health Coalition’s Ethel Meade Award for Excellence in Research in the Public Interest. “Throughout Pat’s prolific career she has reached far beyond academe to champion the interests of women and girls and exemplified what it means to be a feminist public intellectual,” the announcement said. Armstrong is the principal investigator on a Social Sciences & Humanities Research Council (SSHRC) Major Collaborative Research Initiatives (MCRI) program on ‘Re-imaging Long-term Care: An International Study of Promising Practices‘ and is also working on a second study called ‘Changing Places: An International Study Unpaid Work in Public Places’. The research team for the long-term care study seeks to identify promising practices for thinking about, planning and organizing long-term residential care, and search for ways to enable residents and care providers to flourish, and ensure they are treated with dignity and respect. With $2.5 million in funding from SSHRC, the project is organized around four central but overlapping themes: approaches to care, work organization, accountability strategies, and funding as well as ownership structures. The team, which consists of 26 academics from six countries (Canada, U.S., U.K., Norway, Sweden, Germany), five union and two employer organizations partners, along with more than 40 students and four post-doctoral fellows, has been doing analytical mapping of services in all the countries involved and has conducted 25 rapid-site switching ethnographies. She is also a co-investigator on two other projects, and is co-editor of a new book from Oxford University Press titled Creative Team Work: Developing Rapid Site Switching Ethnography. She is also busy finishing the fourth in a series of ‘bookettes’ – small, accessible books – on promising practices in long-term residential care. For more on the awards, visit the YWCA Toronto website.